tuned with a good piano tuning meter. market. Please feel free to SEND E-MAIL with your questions. 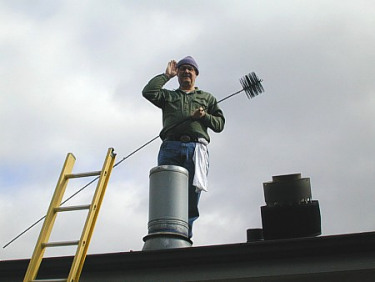 Steve, the piano tuner, also does his own chimney sweeping. coverage online as soon as you receive it. Keep your receipt from us which is included in your shipment. Korg clip-on mic be included in the package. this a very desirable choice. feature to set the starting point of the tuning of an old piano which cannot be raised to A-440 for old age reasons. end of its hearing range, perhaps the last four notes. noisy setting by clipping on to a solid part of the instrument. it is because they do not include the added clip-on Mic. but charge extra for the mic. 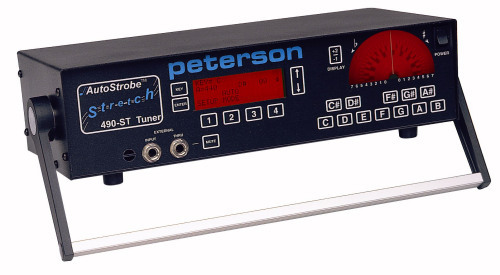 pitch deviation or blink to indicate the tempo, making the TM-40 a highly visual tool. The key to piano tuning it to have Equal Temperament. This meter has this as a default tuning. ear anyway, so this meter fills a need at a very reasonable price. center beats omitted, quadruplets, and quadruplets with center beats omitted. Tempo is easily adjustable in a range of 40 - 208 beats per minute (bpm). from classical to rock and jazz. beats omitted, quadruplets, and quadruplets with center beats omitted are not available. 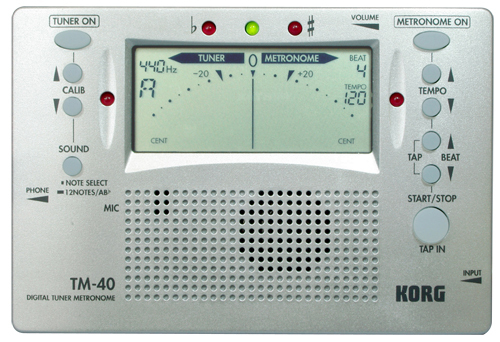 several units as on a mechanical metronome). Choose the mode that you prefer. practicing to a song that you don't know the tempo of, such as a recording on CD. Reference Pitch settings even when powered-off. DOES have the built in mic as well. 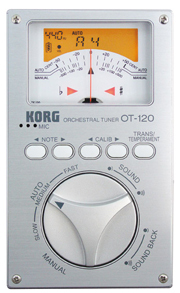 The Korg OT-120M (above) is being replaced with the Korg OT-120M (below). case. The display background colors are greatly improved in contrast. WITH THIS METER IN THE TREBLE AND THE BASS WHILE USING THIS METER. Includes eight stretch choices for any size piano. Feel free to print a copy of the stretch chart for use as you tune. covers the pitch ranges of all instruments. and an LCD screen for excellent visibility. transposing instruments to historical temperaments. help to prevent breaking strings on very old pianos, and "Raising Pitch" will be easier to control. shows not just the correct pitch, but also the sound output level, calibration, key or temperament, and much more at a glance. response for careful tuning. Calibration can be adjusted over an exceptionally wide range to support any concert pitch. ranging from small studios to halls. As a convenience for transposing instruments, twelve keys including both sharps and flats are supported. for use with specific classical and other tunings. Vallotti, Young), and an included external contact microphone. brats yelling :-) Most online stores do not sell the meter this way. - Other mics from other manufacturers may work well with the meter. - No AC adapter available at this time-- Discuss this when you call to order. 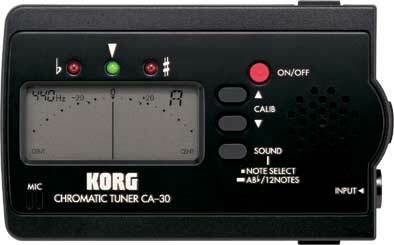 - Durable soft case included-- This is the first Korg meter to come with a case. by direct contact. This adds a second choice to the built-in aural Mic. popular with professional piano tuners.